I promised tutorials on the blocks I have made. Well here is the one where I made 3 commemorative blocks of my family’s relocation to Idaho. The following blocks are around 8″ each. They include California, Idaho, and Road to California. I was born and raised in Northern California. I never felt like I quite fit in. I couldn’t handle the high paced life, smog, high cost of living, including the fact that I couldn’t own a house without two or three full time jobs between us two. So we packed up and moved to Idaho. I love it here! I was able to buy a house, I have a great job, and I can enjoy driving down the back roads and smell the corn and mint fields! We used to go back home annually, but with job changes and life just happening at a wonder rate, eh it can wait another year. Note: Another cool color combo would be to swap the border and corner colors. I’m going to just use the color names as an example, so be creative and give it your own style! 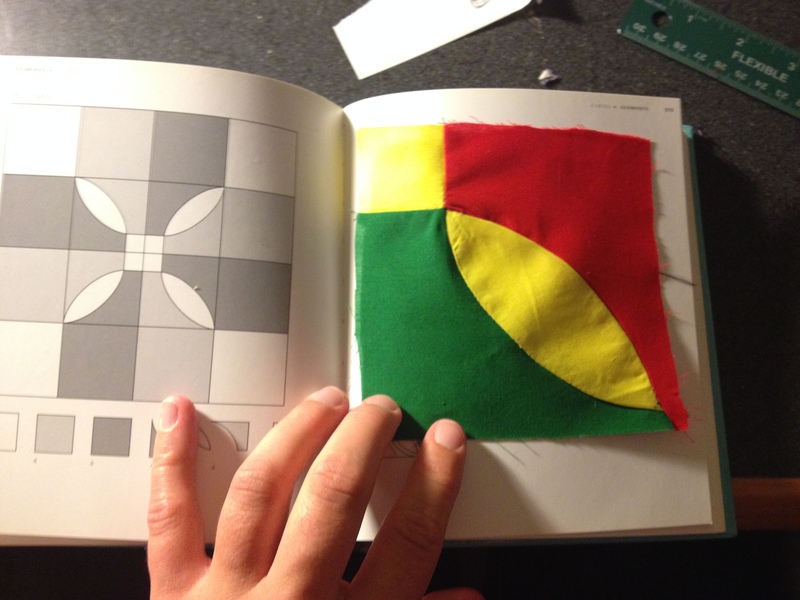 Brown: Sixteen 1 1/2″ HST OR 16 2 1/8″ Squares and cut the excess off after sewing them across their diagonal. First, I sewed all of the HSTs to their corresponding pieces to make 9 squares. 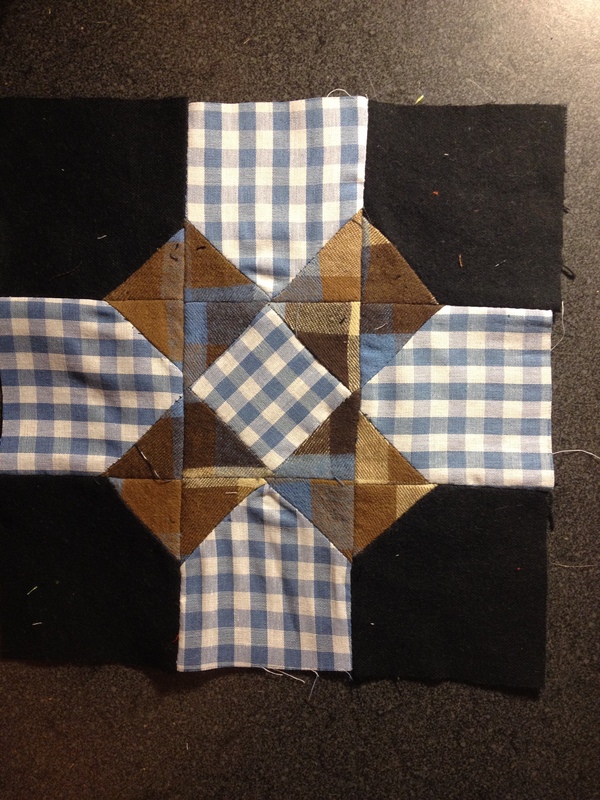 So that would be a brown HST to a corner of each of the black squares, then two brown HSTs to the bottom corners of the bigger blue squares, and then 4 brown HSTs to the center blue square. 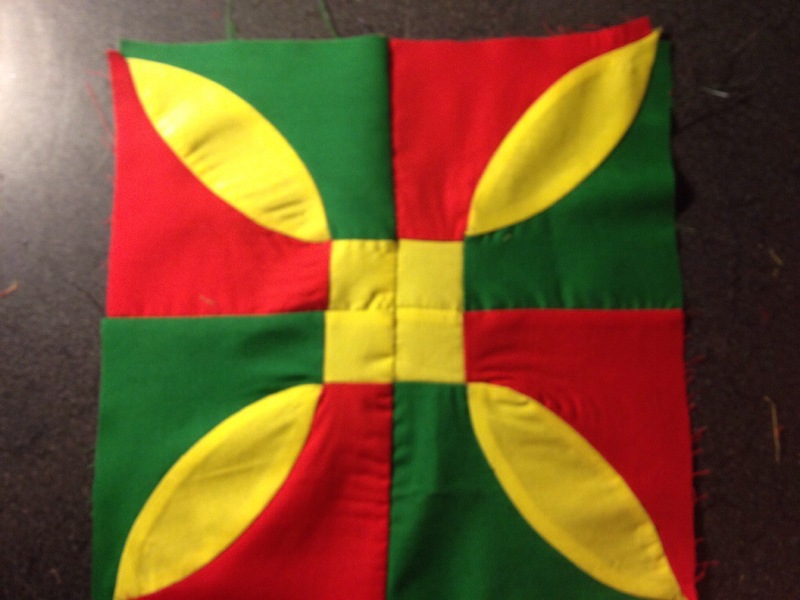 Then I sewed these newly made squares together in their appropriate rows. Last, I sewed those rows together. Press at each step and press when done! YEAH! Road to California would kinda be Oregon and Nevada combined, huh? I played around with this block a bunch! I came up with three different ways to flip the HSTs and the diagonal line of 4 squares around for some neat possibilities. I have to say, this block turned out awesome! I just love the color combo. This is another easy 8″ 9 patch. 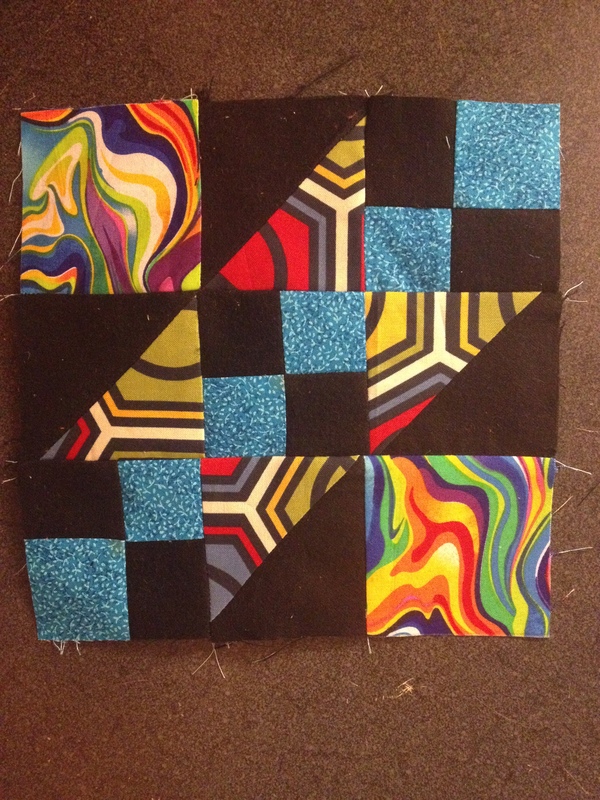 Black and Hexi HST squares: Four 3″ squares sewing on diagonal to four 3″ squares of another color. 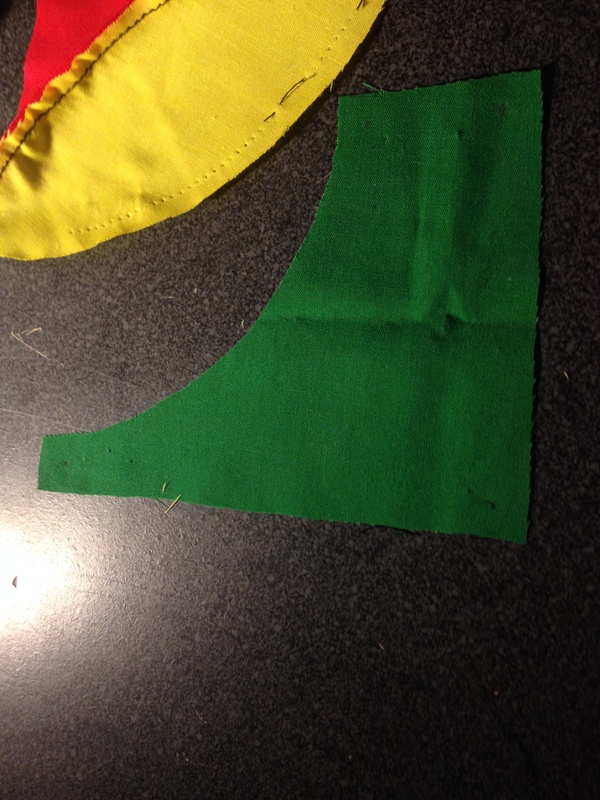 OR Four 3 7/8″ HSTs of both colors. Sew the four patches together, then sew the HST squares together. Assemble the block in rows and sew the rows together. Lastly, Idaho. Oh Idaho, how I love you! Unfortunately, I can’t give much of a tutorial on Idaho. I used a template from a book I’ve had for ten years! But I will show the pictures of my progress. I hope you can find or make a template for yourself! I decided to nix the border because the template for the pedals was already 8″ when finished. I hope this helped! Enjoy!